Downtown Roanoke is experiencing a revival, and in the center of it all is the market house and market square where hundreds of vendors sell every week. 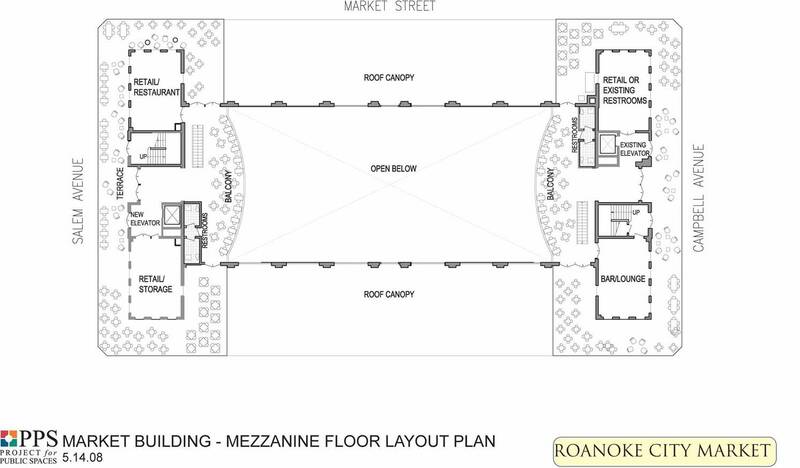 PPS worked with Downtown Roanoke, Inc. on a comprehensive plan for the market hall, the market square and the immediate area to reposition it as the focal point for downtown. 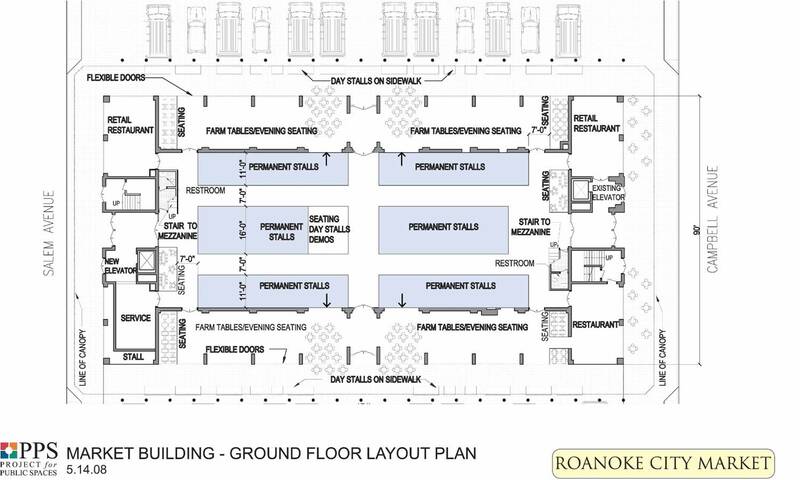 The plan consists of a capital program for the market hall, vendor sheds, the square and streetscape as well as a plan for new management and a business strategy to achieve operational sustainability. Goals of the project include re-establishing the historic food focus of City Market; expanding the potential for the local food economy and for locally-owned and operated businesses; building on the growth of the outdoor market; leveraging the market as a catalyst for downtown revitalization and as a venue for promoting community health and economic development; and making Market Square a usable, active public space that enhances the visibility of Center in the Square, a regional cultural center. To help achieve these objectives, PPS has identified several local partners as well as relevant case studies, best practices and successful business strategies from around the country. Roanoke Valley Development Corp. & Downtown Roanoke Inc.